This month’s staff profile brings us to our apprentice Mitchell. Nineteen-year-old Mitchell Deer is from Telford and has been with us for just over a year. He joined David Dexters after completing two years at Shrewsbury College of Arts and Technology studying engineering. But whilst at college he became more interested in what some of the other college students were working on. “I am really interested in cars and when I was doing engineering I was really interested in what the motor vehicle lads were doing,” he says. 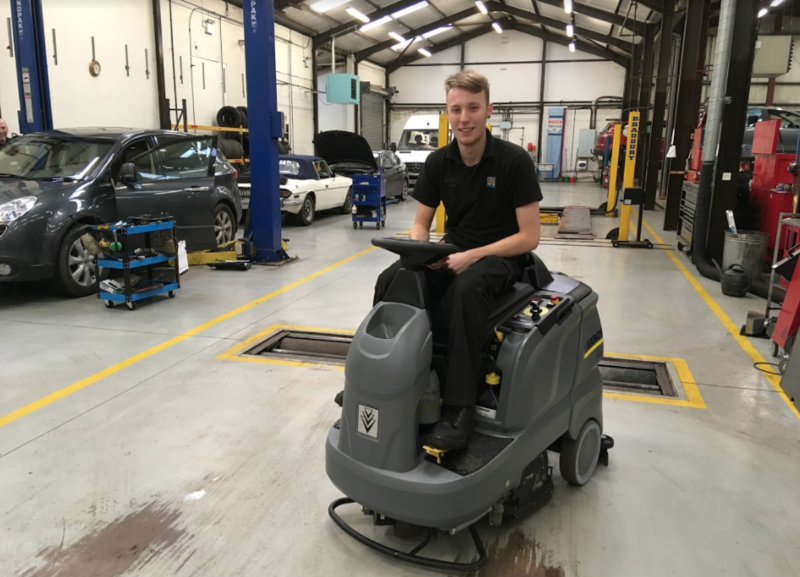 After finishing college he began looking into the Bosch apprenticeship programme and started working at David Dexters towards the end of 2016. “I am really enjoying it here,” he adds. “I like trying bigger jobs and I like learning new things, especially the diagnostics and the work that involves. As a Bosch car service garage Bosch provide all of our technicians with the training and equipment they need to carry out thorough testing using diagnostic and repair technology. So many cars today are controlled by their on-board computer that diagnostic technology is often needed to diagnose a problem. We are one of the few independent local garages to have access to the programming, and are specialists in Volkswagon, BMW, Audi and Ford to name a few. It’s great that Mitchell is so interested in the diagnostic side – next month we will be introducing you to Chris, who loves service and repairs but is not so keen on the diagnostics! All of our cogs fit together to make a well-oiled machine (no pun intended! ).